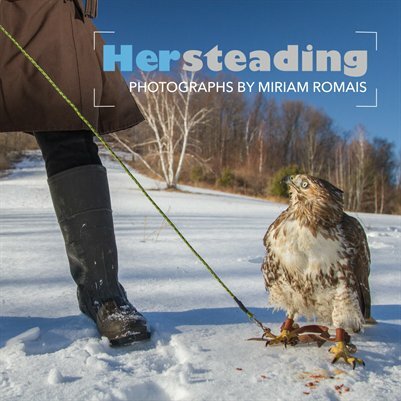 "Hersteading:Cold Antler Farm" is a photo project about the energy, life, love, and challenges of a young woman building her dream life on her own farm in upstate NY. A renaissance woman, Jenna Woginrich not just a homesteader: she is an apprentice falconer, archer, fiddler, martial artist, designer, author and fierce believer in creating the life you want, even if others don't understand. Photographer Miriam Romais has been documenting her life since 2013. This book is based on the exhibition "Hersteading", on view at Saratoga Arts (June-July 2016). 38 pages, full color imagery; it features an essay by Jan Nagle, artist and program manager at Center for Photographer at Woodstock; as well as information about the project and the artist.